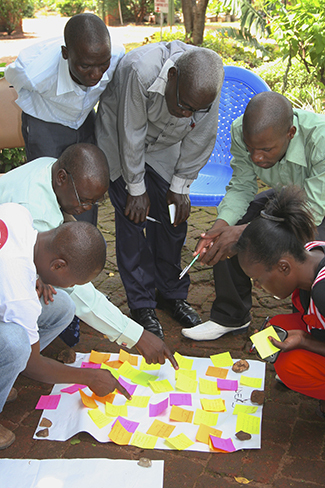 “We are Teachers” is a short film made by a group of rural primary school teachers in Malawi. 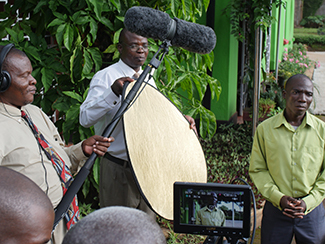 The film was made as part of a collaboration between The Open University, Catcher Media Social, Humana People to People and its local member organisation DAPP-Malawi. Humana invites you to attend the UK screening of this film. Tuesday 30th June 2015. The Dickens Library, Mary Ward House, London. In the workshop, participants were trained how manage a camera, storytelling techniques and editing skills. They chose what they wanted to include in the video and how, and then went about shooting and editing the footage to tell their story. Although far from common, participatory video is gaining popularity in the development world as a way to both assess a community’s context as well as explore a project’s potential impact and results.